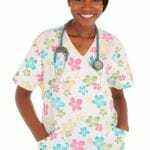 One of the most obvious solutions to the current nursing shortage is to increase enrollment in registered nursing programs to produce new nurse graduates. The Maryland Board of Nursing in collaboration with national nursing associations and nurse educators is making significant strides in attracting more students. Nursing schools have increased their capacity to accommodate more students and reduce the number of qualified applicants who are turned away each year. While the associate’s degree is the most common path to registered nursing, a survey by the NCSBN revealed a noteworthy increase in the number BSN graduates who are first-time test takers of the NCLEX. The report suggests that more nurses are entering the profession with a BSN. According to the findings, the growth of BSN entrants could be attributed to recommendations for an increase in BSN-prepared nurses. 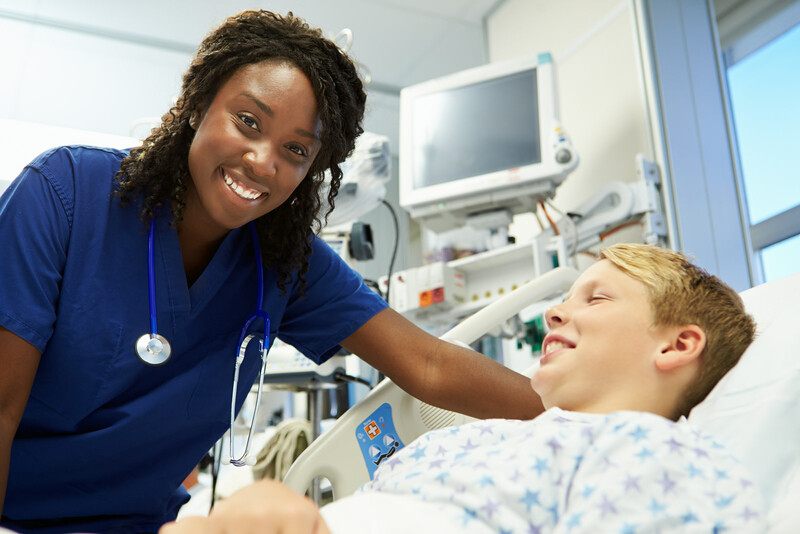 The American Association of the Colleges of Nursing (AACN) also recognized an increased enrollment in BSN programs, which it acknowledges as a turning point for the profession. As employers continue to choose nurses who are educated at the bachelor’s degree level, the number of BSN nurses will rise as students enroll in the more viable program and current nurses enroll in the RN-to-BSN programs to complete their BSN degree to make themselves more marketable. With three viable paths to registered nursing – the diploma, the associate’s degree, and the bachelor’s degree – a student might question the significance of the bachelor’s degree. It requires a greater investment of time and money and leads to the same path as the associate’s degree graduate. Many reason that the current shortage of nurses means jobs for both associate’s degree and bachelor’s degree nurses. However, the current state of health care requires nurses, as frontline professionals, to take on greater responsibility to manage patients with increasingly complex diseases. The BSN prepares students to meet these challenges, including creating and implementing patient care plans, using technology in practice, applying the principles of evidence-based practice, and educating patients and their families to promote health and prevent disease. The drive to increase the supply of BSN-prepared nurses arises out of a need to “fill critical roles across the continuum of care,” including roles outside of the hospital. Employers are recognizing the role of BSNs in maintaining positive patient outcomes, especially in the unquestionable light of research. Published studies reveal a crucial link between the education level of nurses and patient care. Specifically, better patient outcomes among registered nurses who practice with a BSN or higher. With the support of leading organizations and a national drive to improve nurses’ education, more than 80% of employers are demonstrating a strong preference for registered nurses who hold a baccalaureate degree. While this change in hiring practice is more visible in hospitals, it will soon affect other areas of healthcare including long-term care, clinics, and outpatient facilities. Following is a list of the various types of BSN programs available in Maryland. LPN to BSN: Licensed practical nurses have the opportunity to move forward with their careers by enrolling in an LPN to BSN program. With the training completed in a program accredited by the National League for Nursing and experience as a practical nurse, the prospective student will receive credit for foundational courses in the BSN program. Admission requirements may include documented evidence of completing an LPN program and the NCLEX-PN exam and an active LPN license issued by the Board of Nursing. RN to BSN: The RN to BSN program is designed to give working registered nurses the opportunity to advance their career by earning a baccalaureate degree. The BSN is fast-becoming the standard for practice, and RNs who take this important step position themselves for better career opportunities. The program is commonly delivered online to meet the demanding schedule of a working RN. It will require completion of a clinical experience at a local health care facility. At the conclusion of the program, the graduate will have the critical thinking, leadership, and communication skills to assume a greater role in healthcare. Traditional BSN: Students entering the BSN program may have chosen this option to be more competitive in the workforce. The curriculum is comprehensive but thorough and will include instruction in sciences, general education, and nursing. Anyone with and without experience in nursing can enroll and prepare for a career in nursing. The program must be approved by the Maryland Board of Nursing and accredited by the Accredited Commission for Education in Nursing (ACEN) and the Commission on Collegiate Nursing Education (CCNE). Fast-track BSN: The fast-track BSN is open to transfer or second-degree applicants who have already completed the general education requirements in another degree program. With the transfer of credits, students are able to complete the nursing courses on a full-time basis. Candidates must complete all the prerequisite courses before submitting an application. Based on a full-time schedule, students may be able to earn the degree in 18 months. Graduates are eligible to take the NCLEX-RN for licensure as a registered nurse. The rigorous BSN program equips students with the knowledge and skills to function as top-tier nurses who are capable of working with a health care team to treat illnesses and restore health. Qualified instructors who are active in the field provide the training and support to develop exceptional nurse graduates. In addition to classroom lectures, the curriculum will include clinical experiences that give students the opportunity to succeed in a real-world setting. Areas of study include the role of the registered nurse, research and evidence-based practice, medical surgical nursing, physiologic and pharmacologic considerations, fundamentals of nursing care, health assessment, psychiatric mental health nursing, complex nursing care of patients, health care delivery system and informatics, nurse leadership, maternity, newborn and women’s health nursing, and infant child and adolescent nursing among others. Graduates are eligible to the NCLEX-RN for licensure and entry-level employment in a variety of health care settings. An acceptable score on the entrance exam. Official transcripts from all schools attended. Completion of the prerequisite courses. A personal essay of goals and objectives. Clinical placement will require background and health clearance, including a criminal background check, immunization, health insurance, CPR, and TB clearance. The second-degree (fast track) nursing program puts students in an entry-level position in health care much faster than the traditional BSN degree. It is designed for transfer or second-degree students who have already completed the general education program in another degree program. The nursing and clinical experiences begin at the onset of the program so that students can meet the requirements for a BSN degree in 18 to 24 months. Graduates are eligible to take the NCLEX-RN to become a registered nurse. They also have the foundational preparation to enroll in a graduate program to become an advanced practice nurse. The clinical experience is a critical component of the program and may include at least 1,000 hours of practice in various health care settings. Placement requires a drug test, criminal background check, and health clearance. Some convictions will prohibit participation in the clinical experience and licensure as a registered nurse in Maryland. Attendance at the information session. A completed application for admission and fee. Submission of official transcripts from all colleges attended. Public universities have a long history of providing affordable tuition to residents. Financial aid packages provide another means of keeping costs down. Even with affordable tuition and financial aid, it is essential to calculate the full cost of completing the degree to allow for uninterrupted participation in the program. Transferring credits helps to reduce the overall costs for second-degree students and also for traditional BSN students who completed the foundational courses at community colleges. Many universities exclude fees and charge a flat rate for full-time students in order to simplify costs. Grants and scholarships supply an unexpected source of funding if you are willing to commit the time and effort needed to submit an application by the deadline. However, tuition should not be the only consideration when calculating the cost of college. Health insurance, background check, CPR, admission fee, textbooks, immunization, supplies and equipment and nursing supplies are some other costs to consider. The tuition for a Maryland resident enrolled full-time in a BSN program is approximately $4,200 per semester. Here’s a list of Maryland Board of Nursing approved BSN programs and NCLEX-RN pass rates.